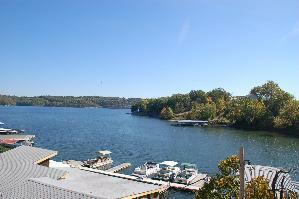 The lake is ideal for anyone wishing to make the Ozarks their vacation or permanent home. The community grew phenomenally in the late 1990's with the opening of the Community Bridge in May 1998. The lake evolved from a summer recreation spot to a regular weekend vacation place. Now, many regular weekenders are becoming full time residents. Where else, but in this mid-Missouri paradise can you find such affordable housing? There are country homes with lots of acreage and in-town homes with neighborhood appeal. 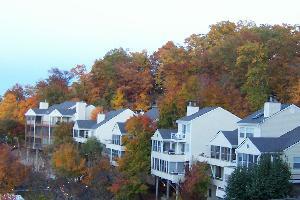 The lake offers homes in many price ranges. OUR QUARTERLY UPDATE: Highlights on what's happening with our lake real estate market. View a graph illustrating sales at Lake of the Ozarks compared to the prior 4 years. Data presented at the 2010 Real Estate Symposium sponsored by RE/MAX Lake of the Ozarks, including local real estate statistics, auctions, mortgage regulations, foreclosures and a national real estate perspective. 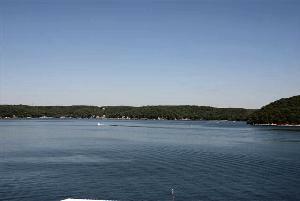 View a slideshow of Lake of the Ozarks real estate data comparing the year 2008 with prior years. Presented at the RE/MAX Lake of the Ozarks 2009 Real Estate Symposium.